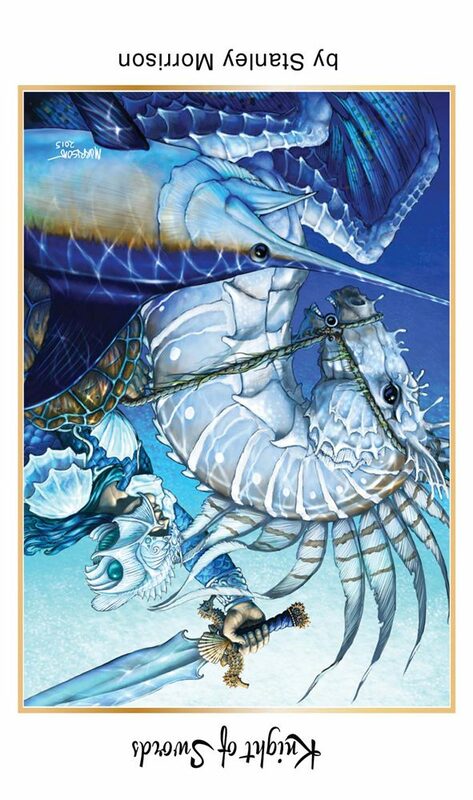 It’s the 5th week of the year and the card of the week is the the King of Swords. Just because the eclipse is over doesn’t mean things are calming down by any means. 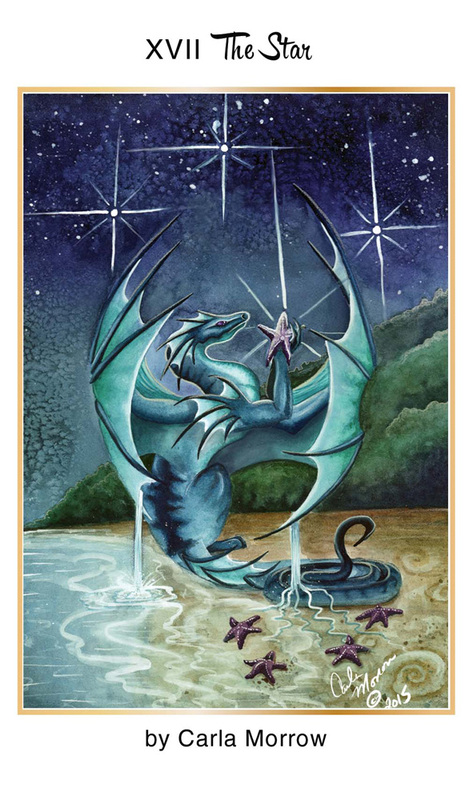 We have 3 occulatations this week and two of them are happening in Capricorn. So this week the Moon will pass in front of Venus on Thursday, Saturn on Friday and Pluto on Saturday. I usually don’t talk about occultations but because we have 3 this week following the phenomenal full lunar eclipse last week, I thought it was worth mentioning. The Moon will give us a burst of energy as it blocks the planets and then release it so this is a time to get focused and release your energy for love and beauty, what you want to learn and what you want to let go of. If we read this as a message and take it consecutively, Lovingly learn the lessons about what you need to let go and then push it away and make a clean break. 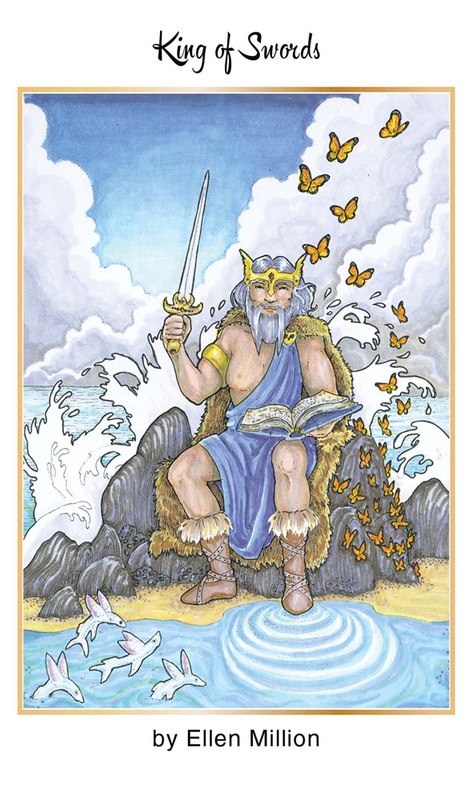 The King of Swords is here to help you make those clean cuts and let the yourself be free. Mantra: It is Aquarius season after all. 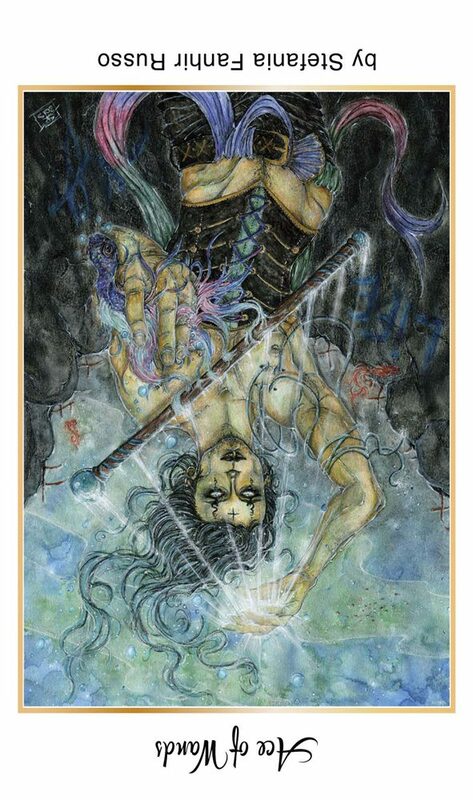 Upright the Ace of Wands upright is a card of inspiration and action but reversed it is more internalized. If you find yourself with inspiration but not able to manifest a way to express it in the outside world, be patient. Moon sextile Saturn at 1:46 A.M. PST is a transit that will bring deep reflections that could initiate important conversations. Moon trine Neptune at 2:15 A.M. PST is a transit that will play on your deepest fantasies but know the difference between reality and dreams. Moon sextile Pluto at 2:38 P.M. PST is a transit that will stimulate the love of the mysterious. If you are wanting to make a change, pay attention to the inspiration that you receive now. The Moon is in the snappy sign of Scorpio all day so expect the unexpected. The number of the day is 5, a number of overcoming hardships. Spin the Wheel of Fortune and take a chance on fate. Sun conjunct Mercury at 6:52 P.M. PST is a trasnit that will speed up communication. No matter where you go and what you do, there will be something to talk about. If you’ve been waiting to talk to someone about something, now is the time to do so. Any new projects started under this transit will be blessed with the communication needed to get things off the ground. It’s a good time to get out and have new experiences with new people. The Moon Enters the energetic sign of Sagittarius today, adding an upbeat optimism to all endeavors. The number of the day is 6, a number of victory. Mantra: Luck is on my side. 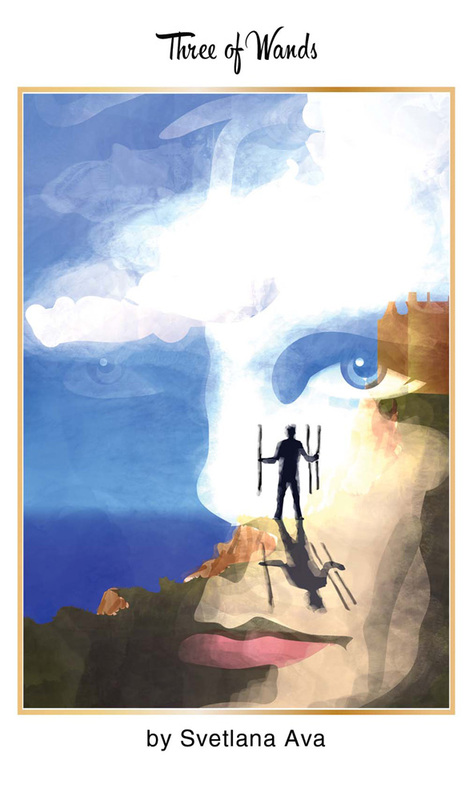 The Three of Wands is a card of looking to the future. Your luck is on the upswing and now all you have to do is wait for the return. Moon sextile Sun at 2:04 A.M. PST brings happiness, harmony and flow to whatever you do. Moon sextile Mercury at 2:32 A.M. PST is a transit that speeds up communication and social interactions. If you are looking for clues as to how someone feels, if you are asleep during this transit, they may present themselves in your dreams. Moon square Neptune at 11:07 A.M. PST is a transit that will make it difficult to tell the difference between reality and fantasy. Don’t push things, simply be and be in awe of the mystery of the perfection in the present moment. Moon conjunct Jupiter at 4:23 P.M. PST will bring good feelings and generosity so there’s no need to worry that what you want hasn’t happened just yet. The best is yet to come. Moon trine Mars at 4:23 P.M. PST is a transit of strength, bravery and leadership. You’ve done the work now all you have to do is wait. The Moon is still in the optimistic sign of Sagittarius so expect good feelings to be abound today. The number of the day is 7, a number of ineffable mysteries. Mantra: Just because you don’t see it doesn’t mean it’s not there. The Star is a card of hope and beauty. Look for inspiration in the dark. Saturn sextile Neptune at 6:21 A.M. PST is a rare transit that will bring a balance between your material and spiritual lives. This is a transit under which you can come to have a deeper understanding of your life purpose through breakthroughs and understandings. This is a time to work for your highest good. But like all Saturn transits, beware. There is a lesson to be learned if you let this feeling go to your head: it will come back on you. Moon trine Uranus at 2:33 P.M. PST is a transit that will add excitement to the revolutionary discoveries you’re making. Changes made today will illuminate your path. The Moon is void of course in the inspirational sign of Sagittarius between 2:33 P.M. PST and 4:47 P.M. PST when She enters the teacher sign of Capricorn. Life is a lesson, take notes today. They will serve you well during this season of ascension. Mantra: Map the stars and follow the inspiration. This week has been full of explosive energy but don’t be blinded to the truth. In the midst of all the revelations and gigantic changes you’re missing something important. Mars square Pluto at 7:15 P.M. PST is a turning point. You can either choose to solve a problem or agree to disagree. This is a transit under which to get work done although you may come up against fierce opposition. It is up to you to choose how you deal with it. Don’t lose cool and stay in control. Pace yourself and victory will be yours. Moon sextile Neptune at 10:42 P.M. PST will make you aware of the feelings of others. Spend time with friends and loved ones. Offer compassion and it will be yours in return. Open your heart and you will open your inner vision. The Moon teaches us more lessons as She moves through Capricorn with an occultation of Saturn at 10:57 P.M. PST. What is brought to light? The number of the day is 6, brining victory in times of struggle. Mantra: Don’t compromise your best interest out of fear of change. Temperance upright is a card of patience and restraint. Reversed it is a reminder to take care of yourself because you have not been following the attributes of the upright meaning of this card. 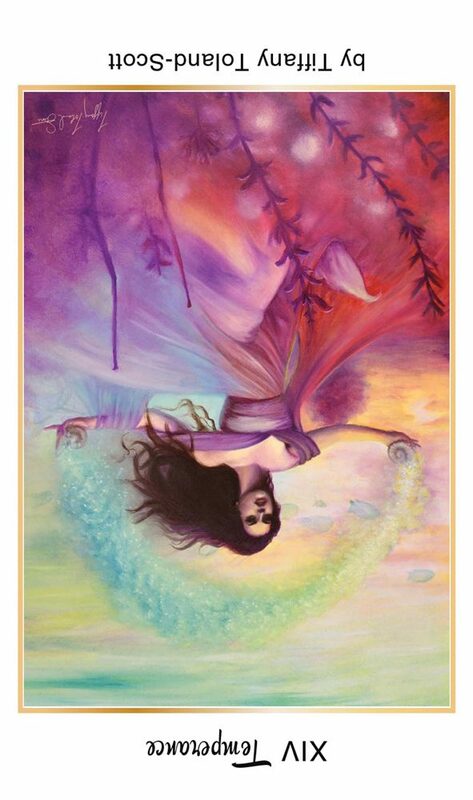 You may feel like you’re being pulled in 2 conflicting directions so the message here is bring things back into balance. Moon square Mars at 1:12 P.M. PST is a pugnacious, irritable transit. Venus trine Uranus at 3:40 P.M. PST is a transit that asks us to try something different if the same old, same old isn’t working. This change of pace is just what you need to bring balance into your life. This is an exciting transit in which the stages of love could move quickly on the romantic front but heed the warning of excess. There is an occultation of the Moon and Pluto in Capricorn at 12:13 P.M. PST, bringing to the forefront what must pass away in our lives in order to make room for something new to grow. The Moon spends the whole day in Capricorn, bringing messages of love, life and loss. The number of the day is 7, reminding us that some questions have no answer. Mantra: Life is a mystery. 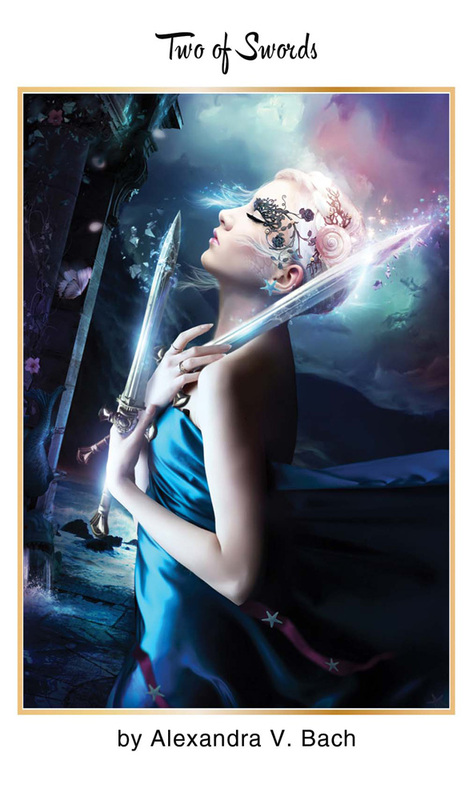 The Knight of Swords upright is a card of reckless action. Reversed the knight’s action is blocked leading to pint up anxiety and frustration. Moon square Uranus is at 2:53 A.M. PST is a disruptive transit that could lead to confusion about what course of action to take. If you are asleep during this transit, this theme may appear in your dreams. Mercury sextile Jupiter at 1:55 P.M. PST is a transit that will calm the frustration and bring optimism to your afternoon. This is a time to take a moment, pause and see the big picture. If you are able to humble yourself, you will see where to act with precision. Venus enters Capricorn today at 2:30 P.M. PST where She will stay until 03/01/19. While Venus is in Capricorn, people will focus on their goals and creative passions. This is a time to learn to lovingly gauge the amount of control needed in a situation without over doing it. Actions will speak louder than words at this time so do what you say and mean what you do. This is a time to build material wealth in your professional and material lives and loyalty in your relationships. The Moon goes void of course briefly between 2:53 A.M. PST and 5:03 A.M. PST when She enters the revolutionary sign of Aquarius. It’s almost time for a change but not quite yet. Mantra: The iron is not yet hot enough to strike. 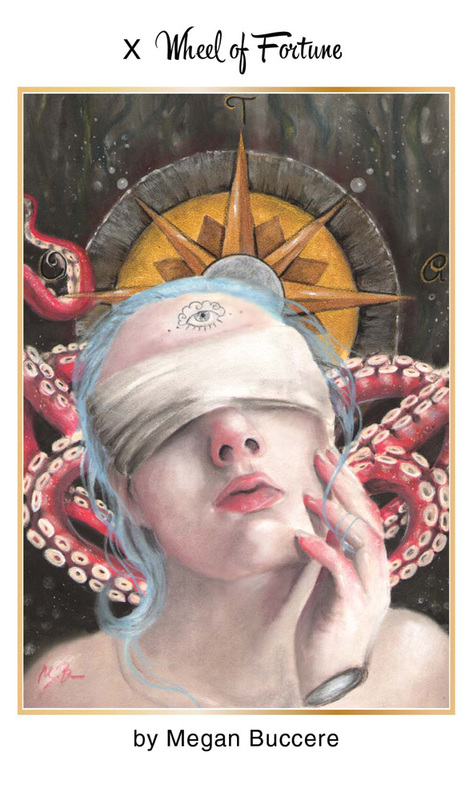 This entry was posted in 78Tarot, art, Astrology, dreams, eclipse, mysticism, mythology, Nautical Tarot, numerology, occult, self help, spirituality, Tarot, witchy, Writing and tagged abundance, art, astrology, card a day, divination, dreams, empowerment, inspirational, love, magick, manifestation, mantra, meditation, metaphysical, motivational, mysticism, numerology, occult, pagan, predictions, psychic, self empowerment, self help, spiritual, spirituality, tarot, tarot weekly forecast, wicca, witchcraft, witchy, writing. Bookmark the permalink.